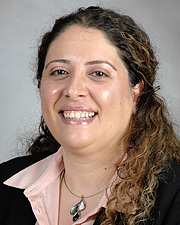 Dr. Afifi is an assistant professor in the Department of Cardiothoracic and Vascular Surgery at the McGovern Medical School at UTHealth. Dr. Afifi has authored many journal articles, abstracts and book chapters on various topics related to vascular surgery, and aortic pathology. She has presented in many national and international conferences sessions on vascular surgery and aortic pathologies.